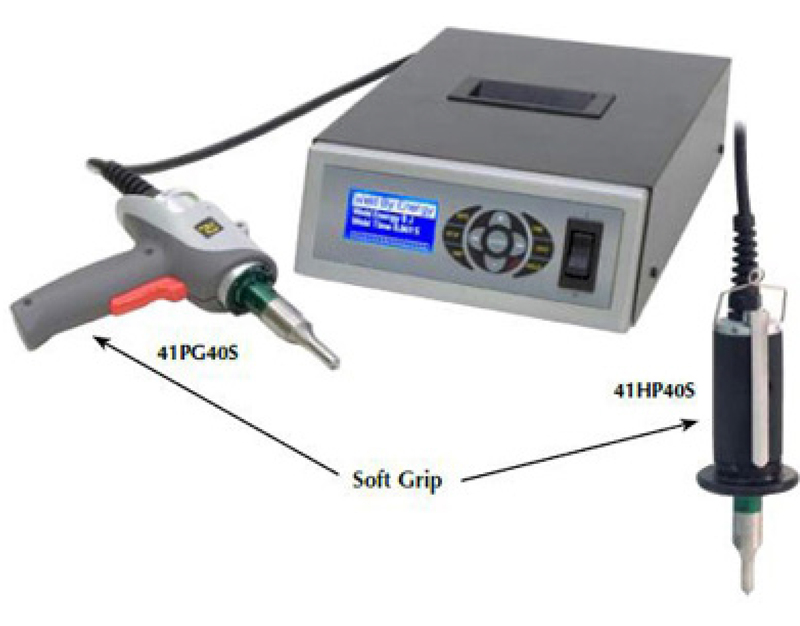 PAS offers several hand held welders for Plastic Assembly. 20kHz, 30kHz & 40kHz These compact and portable units are rugged, reliable and easy to use. They are designed specifically for welding, staking, inserting and spot welding applications. These lightweight hand pieces are ideally suited for manual operations with low volume production requirements. These units consist of an ultrasonic power supply and pencil type probe (pistol type optional). The power supplies come standard with both time and energy control. High resolution two color LCD display. One touch hot keys allow programming and operation to be performed with ease. Built in circuit protection ensures reliability in the toughest work environment. The compact size, built in handle allow for portability.